Hey! look at that – my first GIF. I felt I should come back with something interesting, seeing as how I haven’t blogged in a while. I blame work (teachers strike over = working everyday) and Adam’s work schedule. When Adam isn’t home, I haven’t been baking as much, and when he is home we’re fiercely busy with wedding plans, visiting friends and family and trying to make the most of the 6 days he’s home. I’m ashamed to say we eat out more often now than ever, whereas before we would seldom go to a restaurant. But when he’s home, we’d both rather not be in the kitchen cooking and cleaning. Plus, he has to satisfy his wicked sushi craving. The food at his work is not great, however, so I do like to make him a few good homemade meals to satiate his appetite before he returns. You don’t realize how much your schedule and routine changes when your significant other (fiancé) is out of town. You also realize how heavily you rely on that person when you find yourself in the shower with no one to grab that towel you left on bed, or when the dog wakes up in the middle of the night and you have to drag yourself out of bed, shrug on some clothes and take them outside in the new autumn chill. It’s cold here now, by the way. Although I’m reminded of how much colder it is up north when I’m complaining to Adam about our 2 degree weather, and he’s working in -20. Sorry bout that. While I try to bake and carry on with cooking like I do when Adam is home, I regrettably find myself eating oatmeal, veggies, fruit, salads, tuna and other no prep meals for lunch and dinner. I was however proud of myself for cooking an actual meal this week (chicken enchiladas) for dinner and lunch leftovers. It was quite delicious, and just what I needed. I baked two chicken breasts with chili seasoning and sweet potato. Then I spread some pureed black beans on a tortilla, added the shredded chicken, sweet potato, goat cheese and rolled them up and topped with salsa, baking them again in the oven. They were so delicious – as I told Adam “i made real food!” While I haven’t been baking much, except for some delicious banana bars I’ll share later this week, I thought I had better upload some recipes I made last month. With ourthanksgiving over, I think I’ve exhausted my pumpkin recipes. This weekend we are hosting our second annual Friendsgiving – it was such a success last year. We make the turkey and stuffing, and our friends bring over the side dishes and dessert. The amount of food last year was crazy, and everything was absolutely devoured. It’s such a fun tradition and we love getting together with our friends. This year we have a whopping 16 people coming for dinner! We’ll have to bring in some extra tables. I made this cake for our thanksgiving in October. It’s the perfect combination of apple spice and pumpkin spice – something a little different than the traditional pumpkin pie. The two flavours go well together, and the cake is perfectly moist. 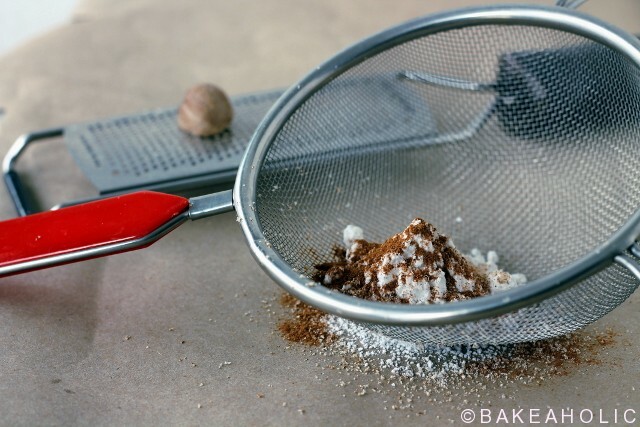 Whisk together the flour, baking powder, baking soda, and set aside. In a separate bowl, whisk together the eggs, sugar, and oil until thick and creamy, about one to two minutes. Next, whisk in the pumpkin until well incorporated. Now add the dry ingredients to the wet ingredients and stir until just combined. Stir in the almond milk, and then fold in the apples. 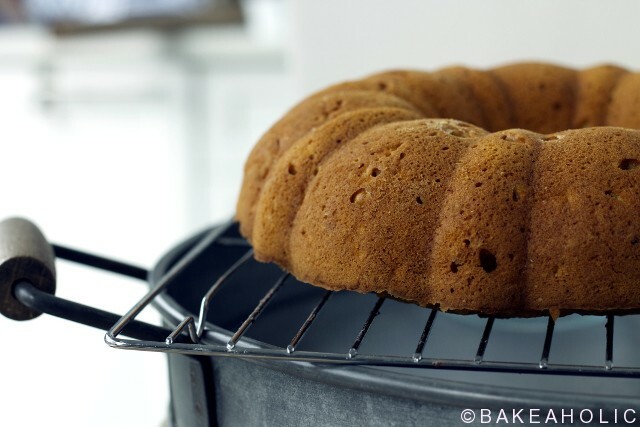 Bake at 350 degrees for 35-40 minutes until the top is golden and a skewer inserted into the center come out clean.